We finally got around to making some UI improvements to the project home. This involved making some of the toolbar actions more obvious. The RUN button has a more consistent position in the app overall. We made the search feature more prominent and also unified the look of the design thumbnails and titles. Let us know how it's working out for you. And by the way, the project home will remember the sort order when you relaunch the app (i.e., by name, recently changed). 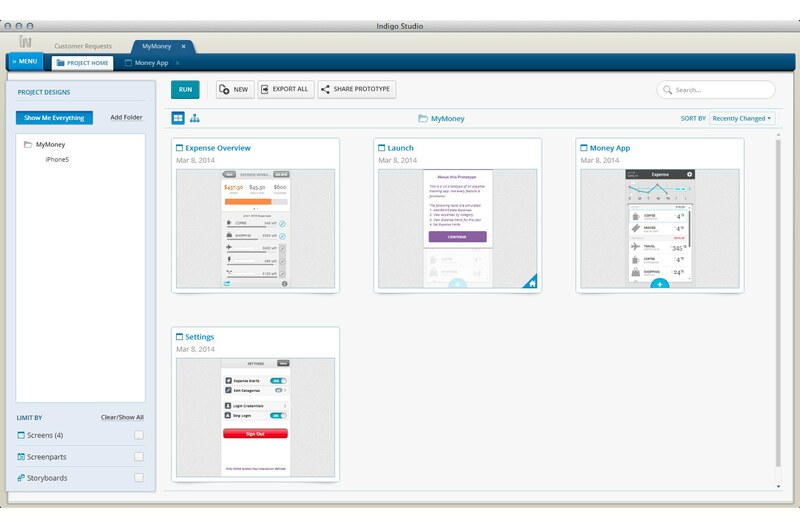 Quite a few of have been using tools like snagit to capture screenshots. A lot such tools copy the image captured to the clipboard. So we have now made it easier for you to quickly paste it inside Indigo Studio without have to explicitly save this image first. 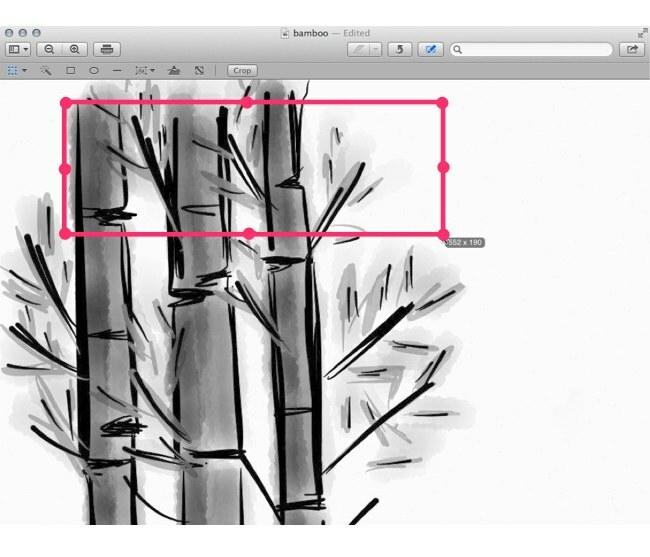 This works with other image editing tools as well (e.g., Preview on OSX, GIMP, MS Paint). 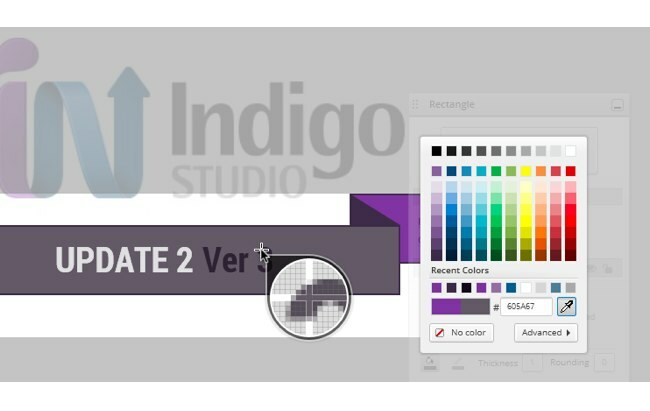 When editing an image, you can select a region, copy it and paste it on the Indigo Studio design surface. This feature does not need much explanation :D. It would suffice to say that with addition of recent colors (row), you don't have to look up the color values ;). The eye-dropper, like in other tools, will let you sample and match colors from other images or colors on the design surface. In update 1 (for v3), we introduced three new fonts. 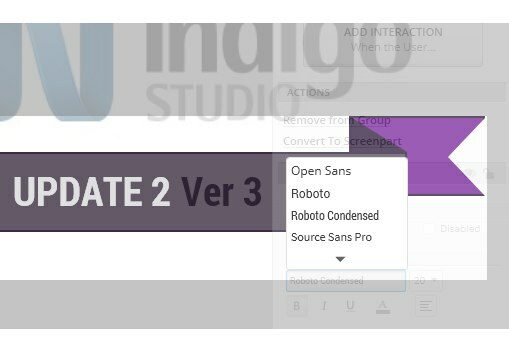 With update 2, once you pick a font, Indigo will remember it for the project. So if you started with Roboto, you can continue to create new text based elements without having to set it again. On a related note, we minimized the font list when you initially load it up. This way you don't have to hunt for the new fonts we added. The open fonts we have selected to include for now are pretty resilient and should serve you well. You can, of course, expand to view all the supported fonts. Indigo warns you about unsupported system fonts (on OS X). Don't have Indigo Studio? 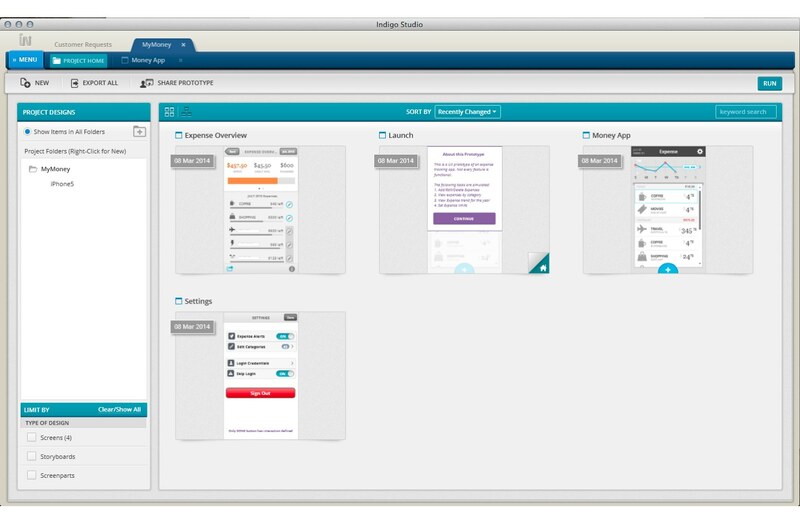 Download a free 30-day trial which will let you try all of the prototyping goodness.